Doolin village Co.Clare. What to see and do, where to eat, stay, explore and more. 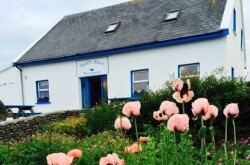 Doolin B&B listings. Shopping. Use the listings here to find Doolin Accommodation, Things to do, Shopping and Attractions. Ferries operate to the Aran Islands from March to October. Doolin is the home of traditional Irish music which can be enjoyed nightly in our local pubs. 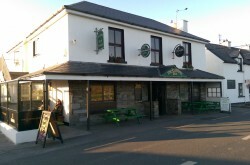 Situated on the North West coast of County Clare and close to Lisdoonvarna. 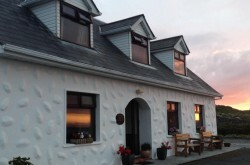 Doolin is only a short trip from Shannon Airport, Limerick, Ennis or Galway. An ideal base when visiting the Cliffs of Moher, The Burren or the spa town of Lisdoonvarna. On The Wild Atlantic Way. A traditional fishing village in the past it is now a thriving tourist destination. 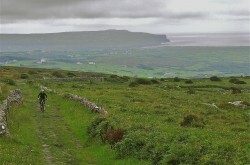 Doolin Tourism has developed over the years and a warm welcome is extended to all visitors. There are many accommodation options, craft shops, restaurants, and activities. There is traditional music nightly in the local pubs where you’ll meet the people, enjoy the craic and learn more about our traditions and culture. Welcome , and enjoy your visit. A true home of Trad music and good food and drink. McGann’s is famous for hospitality, great Guinness and the very best in Local Traditional music. 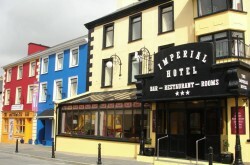 Imperial Hotel is located in the centre of Lisdoonvarna, just a 10-minute drive from Doolin. It offers 100 en-suite bedrooms, restaurant and a bar with live music most nights. 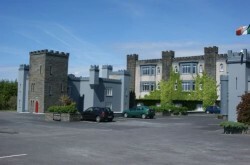 The Burren Castle Hotel is settled on the edge of the Burren Region and our convenient location makes it perfect for you to explore what Beauty the West of Ireland and County Clare has to offer. The Hotel has 81 en-suite bedrooms all with a view of the beautiful surrounding countryside. They are in an unique location by the water’s edge on the western side of Inis Oírr, Aran Islands, only five minute’s walk from the pier. Subscribe to be updated when new listings are added.